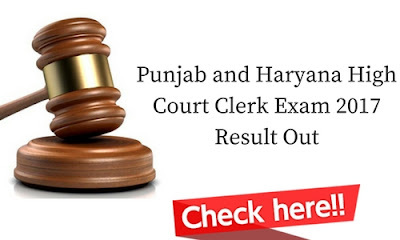 The result of Punjab and Haryana High Court Clerk Recruitment Exam has been out. Students who got shortlisted have been called for Computer Proficiency Test on January 27th and 28th. We would gladly like to inform that out of 10 students, who enrolled for our course of Punjab and Haryana High Court Clerk Exam, 5 have been able to clear the exams and we congratulate them and all the other candidates who have succeeded.